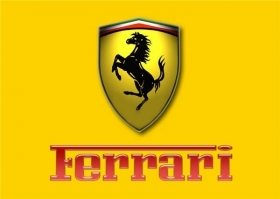 MILAN (Reuters) -- Fiat S.p.A. said analysts' talk that it was considering listing Ferrari and selling supplier Magneti Marelli before taking a majority in Chrysler merely expressed some of its options. Fiat shares rose sharply on Monday when analysts including Morgan Stanley made the comments following a meeting with the carmaker's CEO Sergio Marchionne at the end of the previous week. Fiat is demerging its industrial operations from its car business. The company said the meeting on Friday with analysts was of a routine nature and based on information already communicated. "Comments made by the Morgan Stanley analyst reflect his own views as to the future strategies of the two groups following the demerger, particularly those related to hypothetical extraordinary transactions," Fiat said in a statement. Fiat said the reports represented only "some" of the strategic options that will be available after the demerger.